Michigan researchers have built a prototype of a disk-shaped shock wave generator that could replace the current internal combustion engine in cars. The generator is about the size of a saucepan and does not need a transmission, cooling system, or emissions regulation fluid, which would reduce the weight of a vehicle by 1, 000 pounds. The current prototype (not a full-scale model) consists of a rotor carved with wave-like channels. Fuel and air enter through central inlets and the rotor spins to block their exit through a separate outlet. The build-up of pressure generates a shock wave, compressing the fuel mixture. After ignition, the rotor keeps spinning, the outlet opens again to let the hot gases escape. 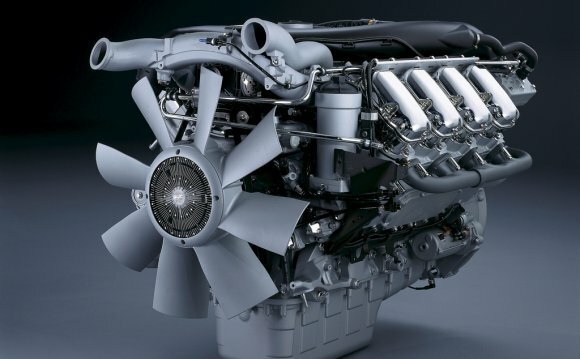 The generator would use about 60 percent of fuel for propulsion, which is a dramatic improvement over typical car engines, which only use 15 percent of fuel for forward movement. Michigan State University recently showed off the new motor prototype at a meeting with the Department of Energy’s Advanced Research Projects Agency and received a $2.5 million ARPA-E grant to develop the technology. The research team plans to have a car-size engine working by the end of the year, and hopes to eventually market it to makers of hybrid vehicles. What is Fabric Engine 2?